I’m flip flopping on OL vs VL, but am leaning OL with a OL hybrid thrown in. I was putting together a cool set in my mind : OL 3H, OL F9 4i, OL ForgedTec 5-G. I’m not really sure how well I’d get on the with 8-wedges in A traditionally longer length, but I think it would be an awesome experiment. What an amazing start to the holiday week. If this doesn't make you all warm and fuzzy then nothing will. This is the must attend event of the year for me. The course looks absolutely amazing. Wait..... did I read this correctly? Moved Member Member for THP Event!!! December 13 let’s go! I know I, for one, will not be sleeping the night of Dec 12th! Already compiling my set in my head just to be ready in the chance I get in! 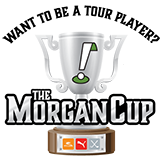 Just think 11 THPers will know BEFORE Christmas that they have been selected for the Morgan Cup! Talk about some holiday cheer! Even though I've known for quite a few months that I was captain, this gets more real by the day! Do not want to miss the sign-up for this! On the calendar. Can’t wait for the opportunity. 2019 is shaping up to be a great year already! Seriously though, I'll be counting down to Dec 13th with more anticipation than Christmas! I will definitely be signing up for this one! Sign up date on my calendar. Oh this looks tremendous! And Cobra always has tons of lefty options.